ENGINEERED TO BE THE BEST. 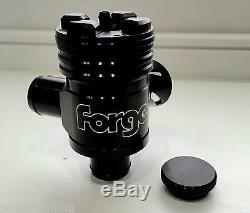 Forge Splitter Recirculation & Blow Off Dump Valve FMDVSPLTR 1.8 Turbo BLACK. 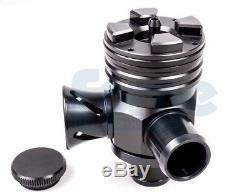 Forge Splitter Recirculation & Blow Off Dump Valve Part Number: FMDVSPLTR Colour: Black Fitment. S3 1.8T (8L Chassis). A4 1.8T (B5, B6 Models). A6 1.8T (B5, B6 Models). Leon Cupra R 1.8T. The Splitter is a truly remarkable valve that gives a combination of blow off and recirculation valve operation, all at the same time, and has been specifically designed for the many turbo engined applications that operate metered airflow management systems. This means you get all the noise of the blow off valve whilst retaining the compatibility with the recirculation requirements of the engine management system. As a bonus we also offer the ability to convert the valve to recirculation only mode for those times when stealth running is required. This valve uses a Brass&###xA0;piston which utilises new sealing technology along with a variable spring preload, incorporating a ratchet type top adjuster that will allow for the positive and precise adjustment to match the valve to your engine. This is achieved by using a unique single, conical, progressive rate spring, that can allow for the retention of boost pressure over a wide adjustment range. This unique spring design also allows for unrestricted piston travel and flow volume regardless of the amount of pre-load adjustment added to the spring. Other manufacturers'&###xA0;valves use&###xA0;cylindrical springs with adjustable pre-load, which often experience restricted piston travel and a reduction in flow volume. When we say our products are Engineered For Performance, it's&###xA0;not a catchy sales phrase, it's the truth. And we prove it with every product we manufacture. 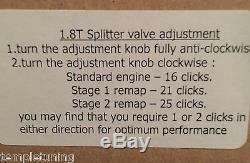 Note: This valve requires installing the opposite way to the original Bosch Valve. This means that the side pipe is fitted into the Turbo Intake Hose, and the base pipe connects to the hose that runs to the boost side of the turbo. In The Box: 1 x FMDVSPLTR Valve 1 x Valve Blanking Cap 1 x Instruction Booklet 1 x Forge Sticker Forge Motorsport Warning: Forge Motorsport nor any of it&###x2019;s authorised distributors (us) can assume any responsibility for any adverse effects resulting from the installation and tuning of this product onto a vehicle whose engine-management-system, whether factory or aftermarket, is not capable of allowing for the desired level of adjustment. 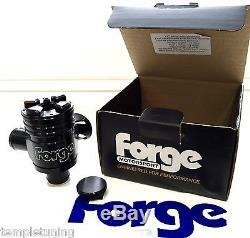 While Forge Motorsport is happy to supply you with an actuator capable of holding boost beyond that of your factory unit we are in no way capable of knowing nor suggesting that your vehicle's engine or related systems are capable of supporting or surviving the stresses of such elevated boost pressure. PLEASE NOTE:'Dump valve' is a generalised term covering many different valve types. All we ask is that the item comes back to us in its original condition with manufacturers packaging and that it has not been fitted to the vehicle. We are registered with Companies House and VAT registered. We have been supplying car parts to both public and trade since 2004 making us one of the longest serving internet providers. Shopping with us is safe, easy and reliable. Forge Motorsport was founded in 1996&###xA0;with the simple ideals of innovation, clever design, and manufacturing to the highest quality. 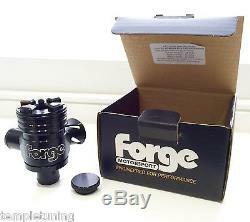 The Forge mantra is the BEST customer care and after service worldwide. &###xA0;In doing this, they have developed the largest range of replacement aftermarket valves, intercoolers, and actuators in the world. Utilising a state of the art in house CNC machine shop, and a highly skilled team of dedicated engineers and fabricators, Forge supply their branded product worldwide Proudly stating'Made In Great Britain' &###xA0;on all products. This valve uses a Brass piston which utilises new sealing technology along with a variable spring preload, incorporating a ratchet type top adjuster that will allow for the positive and precise adjustment to match the valve to your engine. Other manufacturers' valves use cylindrical springs with adjustable pre-load, which often experience restricted piston travel and a reduction in flow volume. When we say our products are Engineered For Performance, it's not a catchy sales phrase, it's the truth. In The Box: 1 x FMDVSPLTR Valve 1 x Valve Blanking Cap 1 x Instruction Booklet 1 x Forge Sticker Forge Motorsport Warning: Forge Motorsport nor any of it’s authorised distributors (us) can assume any responsibility for any adverse effects resulting from the installation and tuning of this product onto a vehicle whose engine-management-system, whether factory or aftermarket, is not capable of allowing for the desired level of adjustment. 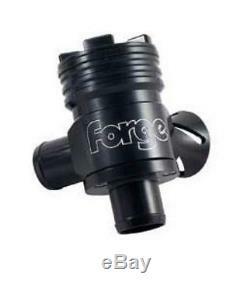 The item "Forge Splitter Recirculation & Blow Off Dump Valve FMDVSPLTR 1.8 Turbo BLACK" is in sale since Monday, January 18, 2016.